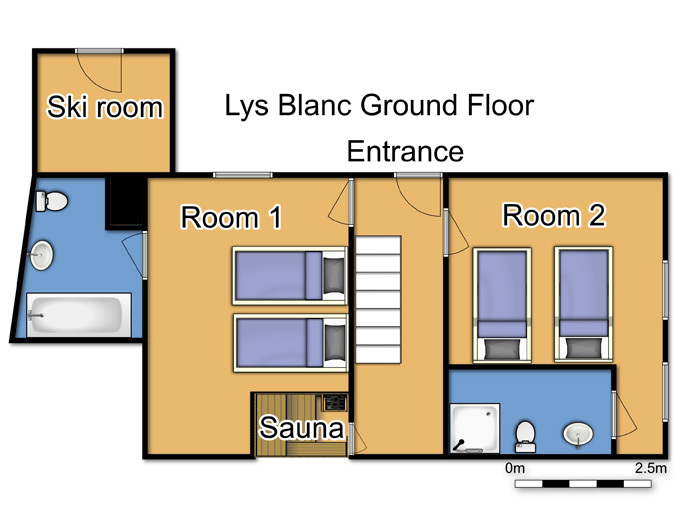 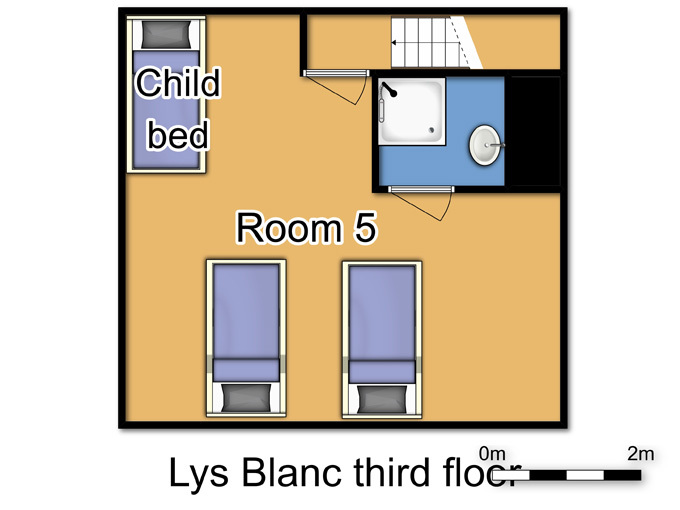 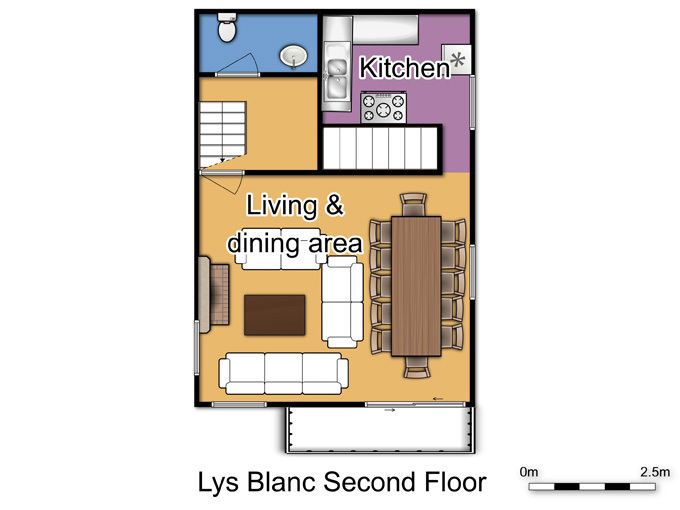 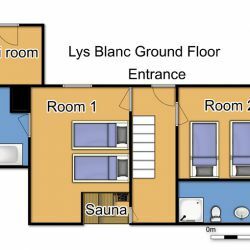 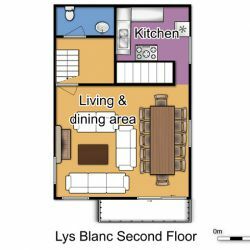 The Chalet Lys Blanc is a charming chalet located in the quiet residential area of Morel area above the resort centre. 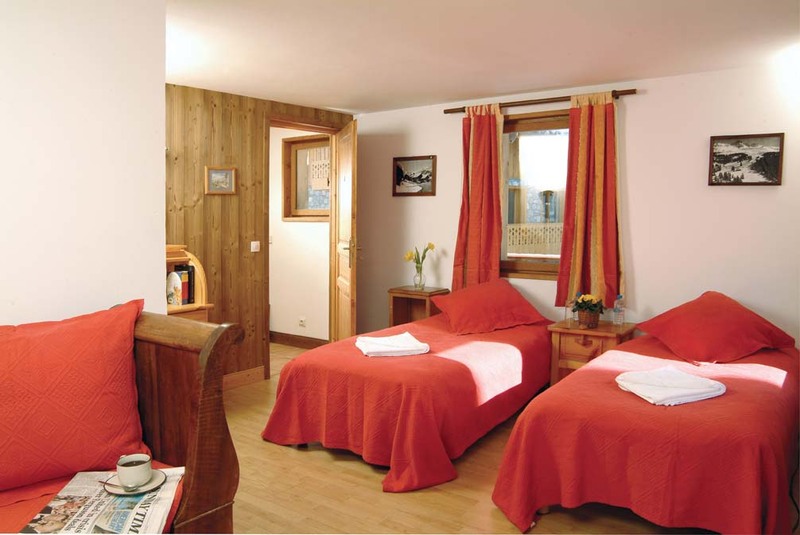 The chalet was the former private home of the owner, so great care has gone into its style and upkeep. 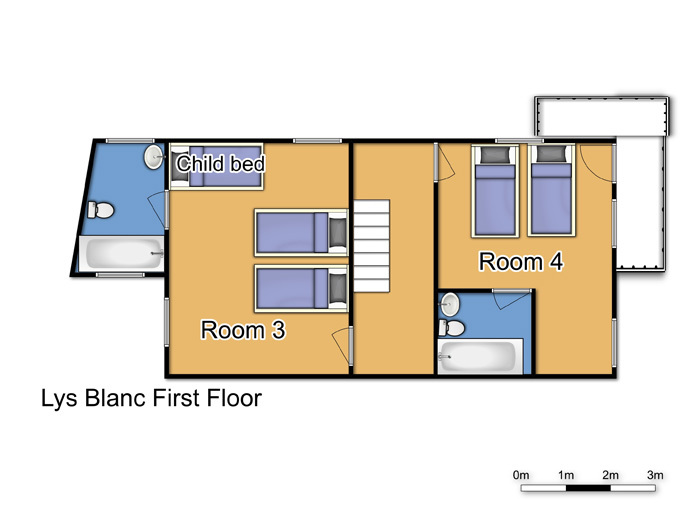 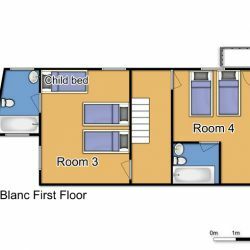 The spacious bedrooms all have en suite facilities and are tastefully furnished. 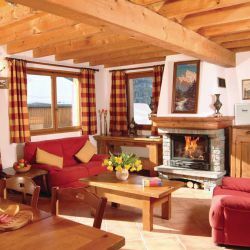 The cosy living/dining-room makes a beautiful centrepiece to the whole chalet. 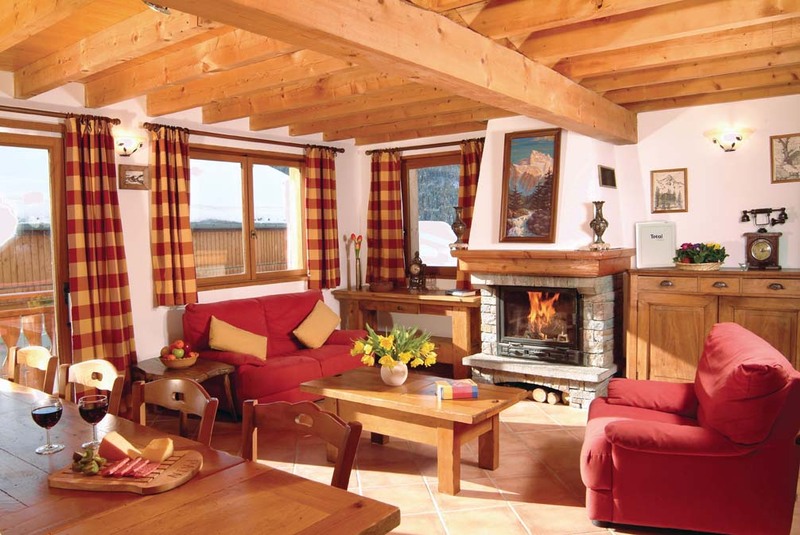 The log fire is the finishing touch to the overall atmosphere. 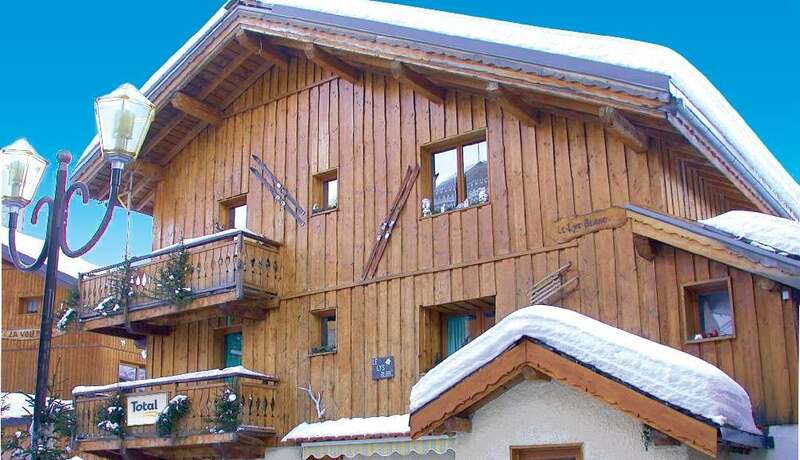 Three minutes walk to the Morel chairlift. 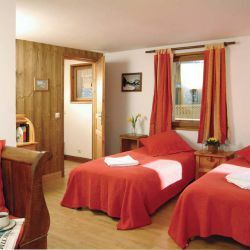 This takes you to the Altiport which has excellent links to the Three Valleys. 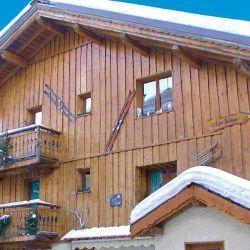 On your return at the end of the day, a blue run from the Altiport brings you back close to the chalet. 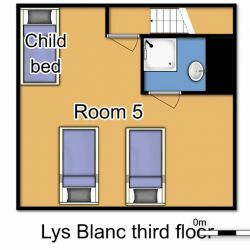 Alternatively there is a ski-bus stop 200m from the chalet for the short bus ride to and from the lifts.